Ben Usen, owner of Installation Coffee. 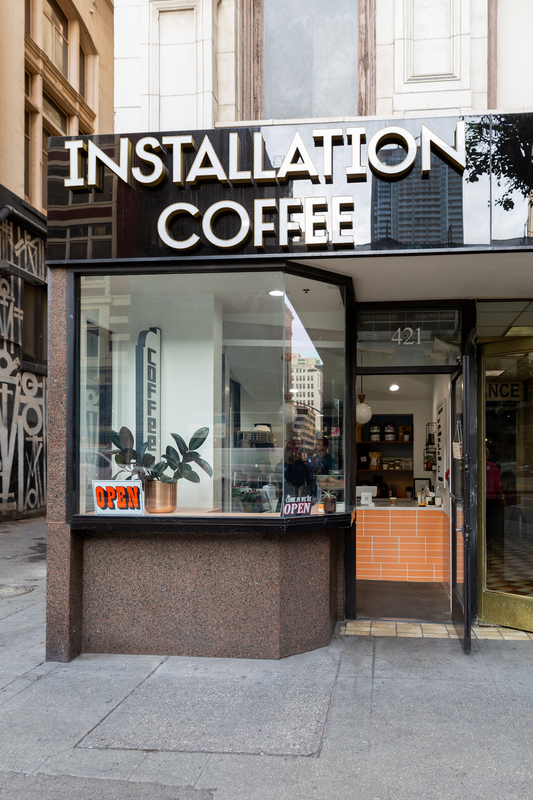 All photos by Eric Rippin, courtesy of Installation Coffee. Installations come in all sizes, yet they’re fundamentally intended to stay a while in their given space. 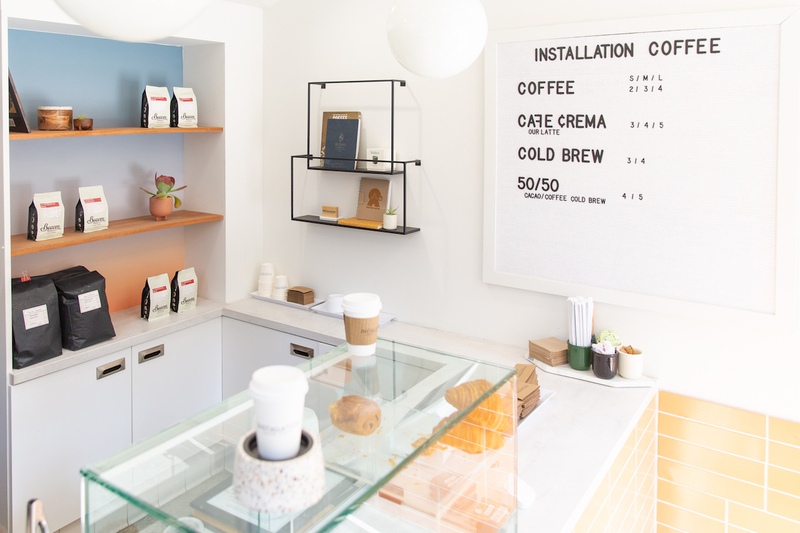 For the new Installation Coffee bar in Los Angeles, that space is small, designed for maximum efficiency for patrons, and for owner Ben Usen and one other employee. 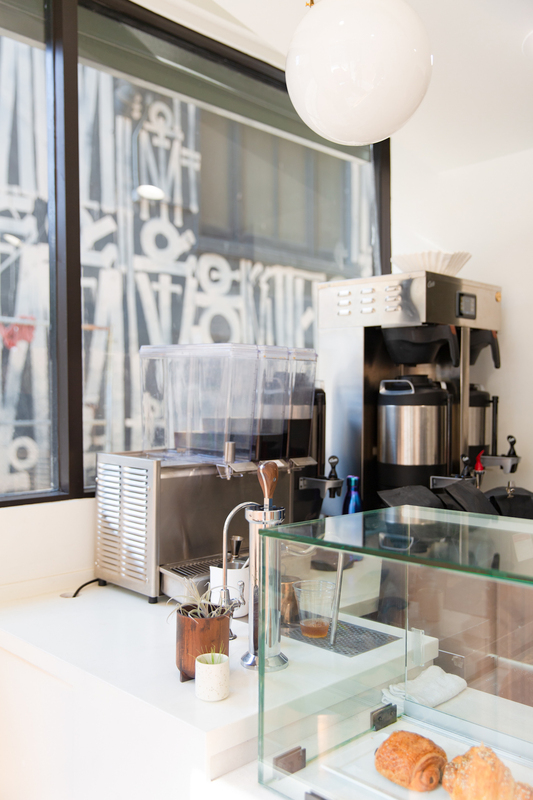 The 300-square-foot space offers a small standing counter for up to two people, and everything is served to-go. 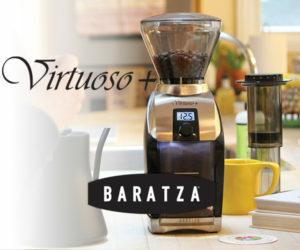 To simplify the concept even further, Installation offers only brewed coffee; there is no espresso machine. 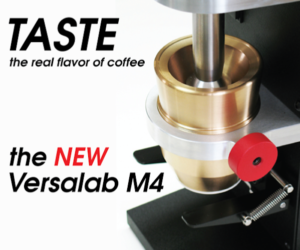 Installation’s bar includes a Curtis G4, a ModBar Steam Wand and a Mazzer ZM grinder. 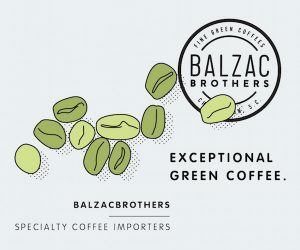 The cafe is serving Beacon Coffee, which has a roasting facility and cafe in Ventura, California, and a second cafe in downtown Ojai. 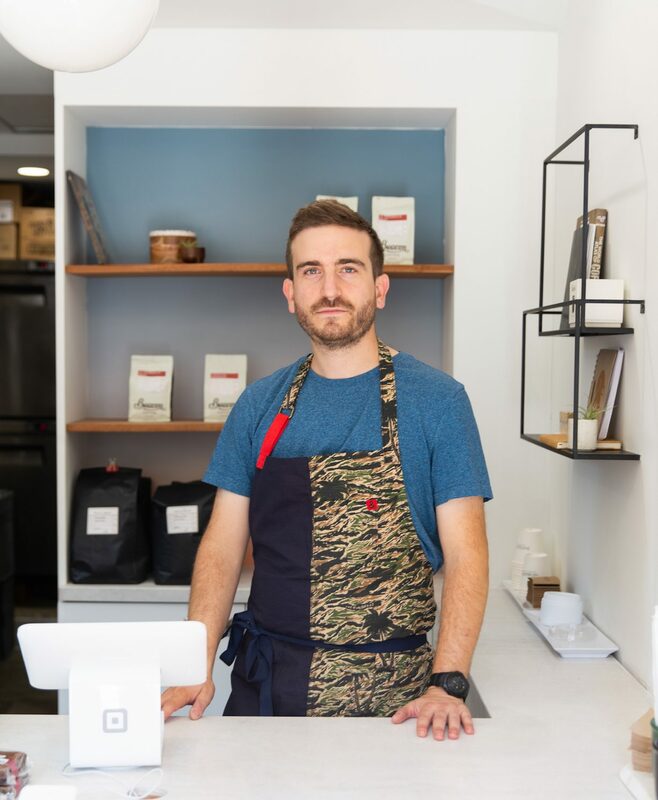 A long-time barista and coffee industry professional, Usen was most recently working for Philadelphia-based La Colombe Coffee Roasters, overseeing the company’s LA wholesale market and working on the retail side as branded stores entered the west coast. 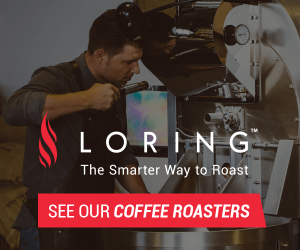 Usen said the role allowed him to become familiar with all kinds of coffee equipment and other installations in standalone coffee bars, and in restaurants and hotels, but he always harbored a desire to strike out on his own. A replica sign inspired by the “Diamonds” sign from the Jewelry Theatre Building where it is located. 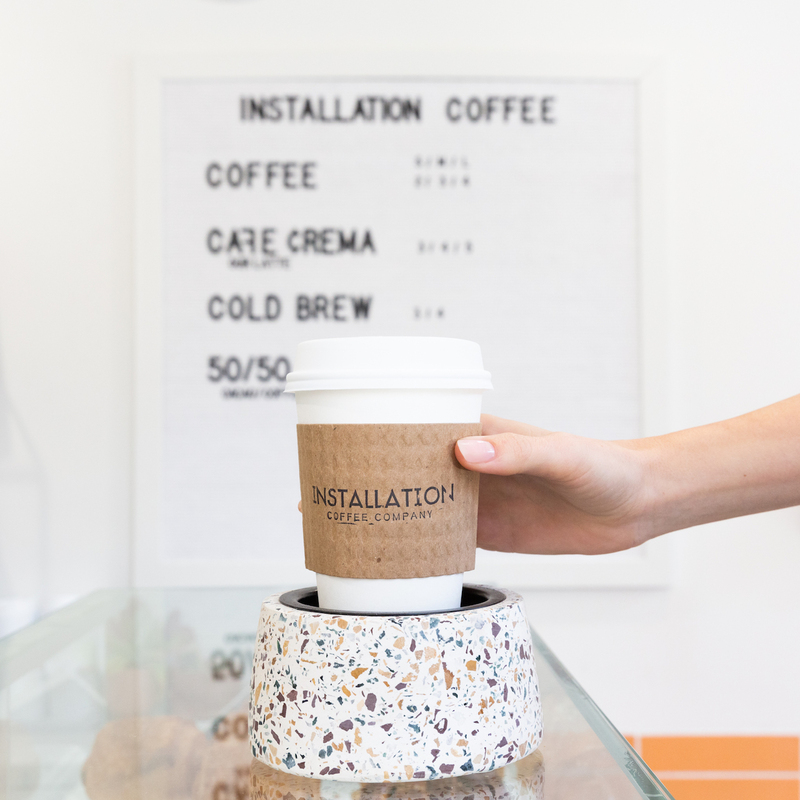 Usen’s goal is to have a different coffee art “installation” in every location. Usen’s new permanent location was an existing coffee shop with an active permit, so the entire project took Usen just a few months from signing the paperwork to opening for business. Usen’s goal is to produce drinks quickly, focusing on quality and volume. 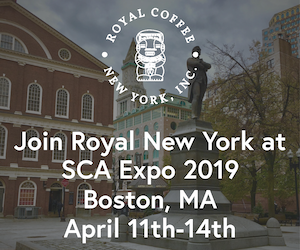 Currently, the shop is offering Central American coffees — rotating and blending three washed coffees from Guatemala, Costa Rica, and Colombia — offering what Usen describes as an accessible profile: chocolate, nut, caramel and brown sugar with subtle berry/fruit notes and clarity. Usen took a similar gateway-focused tack when building the cold brew business, prioritizing convenience over all else, while offering a better-quality coffee product in the process. 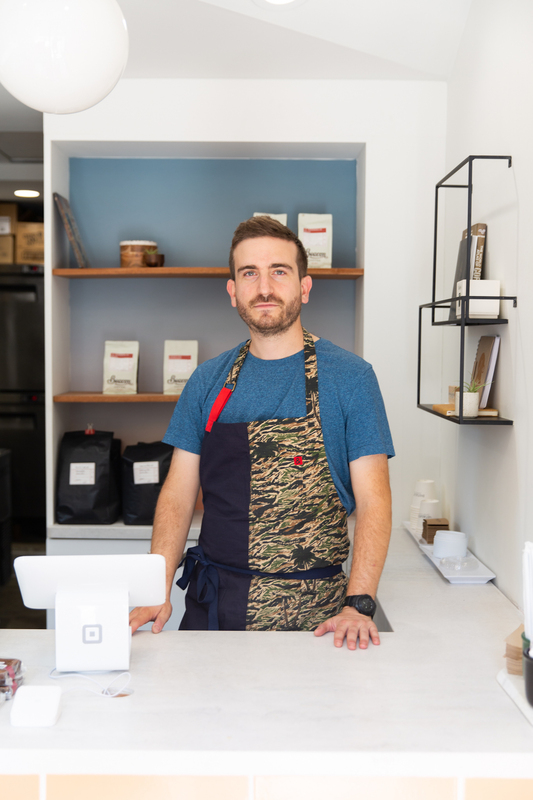 Now, through a permanent installation of his own, Usen hopes to instill an even deeper connection to specialty coffee. 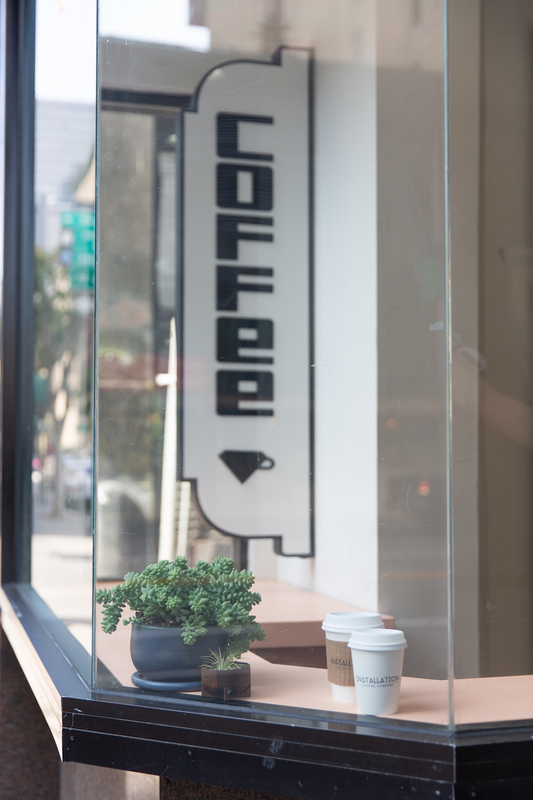 Installation Coffee is now open at 421 West 7th Street in Los Angeles.